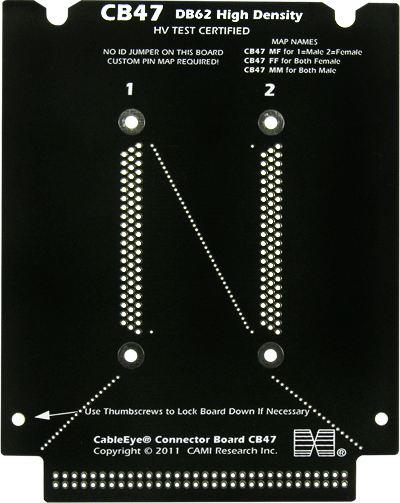 Two connector positions provided on this board will each accept either male or female DB62HD connectors. Specify your gender preference when ordering and the connectors will be mounted as needed. Certified to operate at 1000vDC for high voltage testing. Set of two boards.